Terminator Skull Short Sleeve T-Shirt | BUDK.com - Knives & Swords At The Lowest Prices! Let everybody know who’s got attitude when you step out in this new Terminator Skull short-sleeve t-shirt! 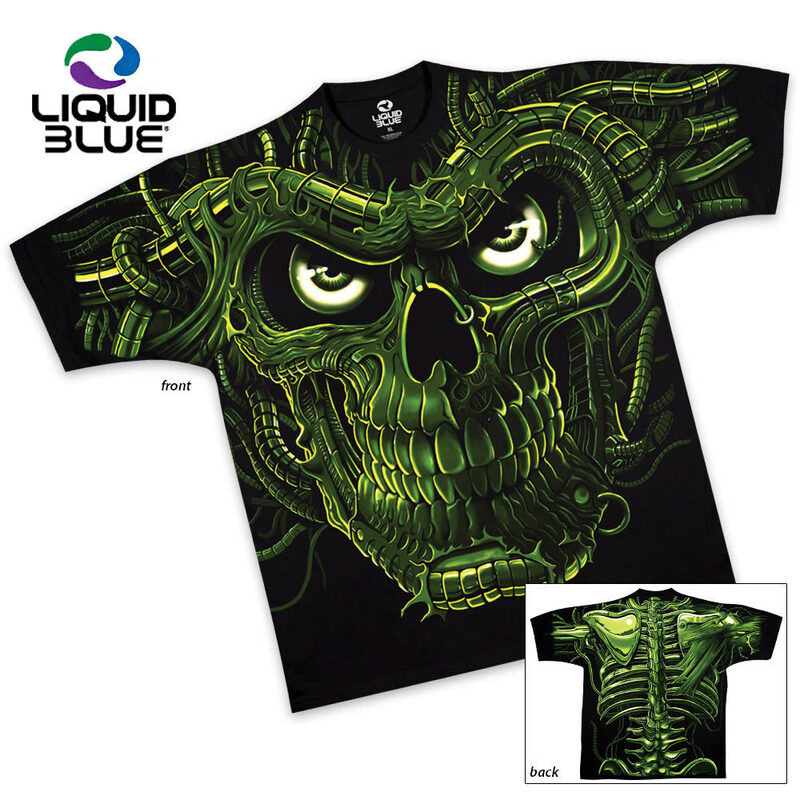 This 100% cotton t-shirt features a striking terminator skull design that...wait for it...GLOWS IN THE DARK.